Leah was a consummate professional from the first day we met her all the way through closing and beyond. 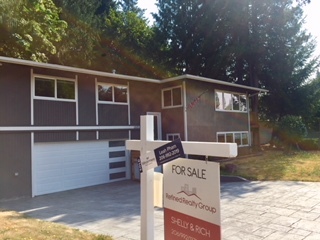 Leah provided expert knowledge of the West Seattle market, accurate pricing assessment of properties and comps, and keen insight into the many aspects that determine a home's value. Leah's positive attitude, responsiveness, availability and insight far surpassed our expectations. Having Leah as our agent took much of the stress out of home buying and enabled my wife and I to focus on the home. What we particularly liked the most was that Leah did not pressure us into any situation was always patient with us. Leah was excellent. We are first time home buyers and she made a very scary and new experience go smoothly. She responded to all our questions quickly and was there for us every step of the way. We couldn't recommend her more highly!! with all our concerns. Nothing could have been done better. In dealing with both April and Leah we found friendly helpful (with a smile), enthusiastic service. They were encouraging in their manner. Recently, I had the pleasure of working with Leah on the purchase of my home. She did a fantastic job of helping me navigate the intricacies of purchasing a home. Leah was always available to answer my questions and concerns. Leah's attention to detail and expertise were instrumental in the purchase of my home. I would not hesitate to utilize Leah's expertise in the future for the sale or purchase of a home. Additionally, I would recommend Leah to anyone perusing today's tough real estate market. Randie and Leah were a delight to deal with. They are very professional, supportive and kept me up to speed with every step. I couldn't be more pleased and both Randie and Leah made it all run so smoothly from start to finish. They are definitely both assets to your company. Always pleasant, she is the type of person I would love to work for! "I met Leah through a transaction we were both involved with. I was the seller's agent and she the buyer's agent. I was so impressed at how quickly she returned my phone calls and texts.. Always pleasant, she is the type of person I would love to work for! Also, she kept the process going very smoothly even though my client was difficult to work with; anything that needed to be done, she took care of. Very impressed with her knowledge and ability. Even when I called her weeks after the closing asking for a phone number- again a quick response. we need more agents like her!!" Leah Pham understood us and listened to what we wanted. Always kept us on target no matter the hour of the day. Fast in response, gave us great guidance throughout the entire process. Problem solver and great resource at each home. Insightful, learned a lot from her such as the market, the neighborhoods, histories of homes, quality of the home, and if we were expecting to make costly immediate repairs. Leah helped us make our decisions faster in an extremely fast paced market. Leah is one of the most outstanding real estate agents I've worked with. Her dedication to her client's needs, quick response, follow up and detail to the numerous details that go along with purchasing or selling a home is amazing. Leah P. was amazing. I don't think I could have done it without her. She held my hand through everything. Every time I needed her help or for her to be there she was. Doing this alone was scary and hard, but Leah made it so easy. It was like having a partner or parent figure there to help guide you in the buying of a house. Leah is amazing at her job and has become a friend as well. 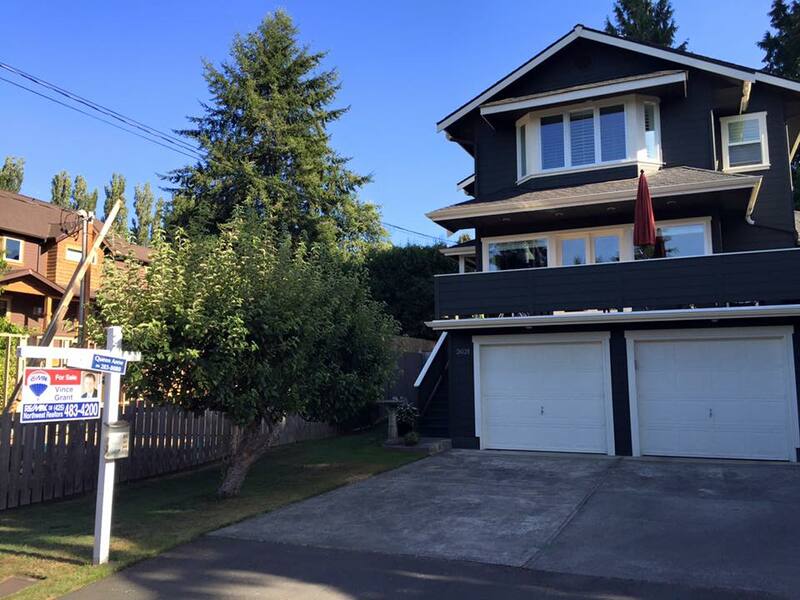 Leah helped my brother and I purchased several investment properties in shoreline area for the past 3 years. She understood what I was looking for such as locations, conditions, rooms, and garages. She is professional in all aspects of the process, easy talking to, asking questions, honesty, respectful. Also, moved fast to get my offer in and follow-up through closing was excellent. Leah was AWESOME! Leah went above and beyond to help us find our first home. She was very prompt in sending us new homes that came onto the market and was available to go view them anytime. Leah is consummate professional and far exceeded our expectations. First, unlike the majority of her peers, Leah genuinely and unequivocally has your best interests at heart throughout the entire buying process. Not once did she pressure us, use any social engineering tricks, or provide us with anything but honest and professional guidance. Secondly, you will NOT find a real estate agent that understands customer service better than Leah. From the first day you meet her, through year 1+ from buying a house, Leah is still providing amazing customer service and going well above and beyond what is necessary. Lastly, when it comes down the business side of buying a home, Leah is a rock star. She clearly knows the business, neighborhoods, trends, and can synthesize this information to ensure that you are making the best decision for your family. Without a doubt in my mind I would recommend to my family and friends and and I do. Leah turned made what would otherwise have been a scary and uncertain experience into a positive and memorable relationship. Leah is hands down the best realtor I have ever worked with. She is sincere, honest and goes above and beyond. She made buying a home a wonderful experience! I would recommend her to anyone. She will be the only realtor I ever use again. My boyfriend and I recently bought a house and we credit Leah big time for making it happen. We started working with her about four months ago. From our first interactions, Leah has been on it! This was my first time buying a house, so I needed a lot of hand holding, just in terms of what to expect. This is a crazy housing market right now and there were definitely some times that we felt discouraged (like when a house receives 23 offers and goes $120K over asking...grrr). But Leah, through everything, kept us positive. She wasn't pushy at all and I really, truly felt like she had our best interests at heart throughout this whole process. After that 23 offer debacle (mentioned above), she offered some very sage advice, that landed us exactly where we are now. We went for a house that had been sitting for a little while, since our situation allowed us to do some major renovation to the place. It is working out great, and the house, with its project renovations estimate, is still well within our budget. Another thing that I especially appreciate about Leah is that she stayed involved through out all phases of the process. 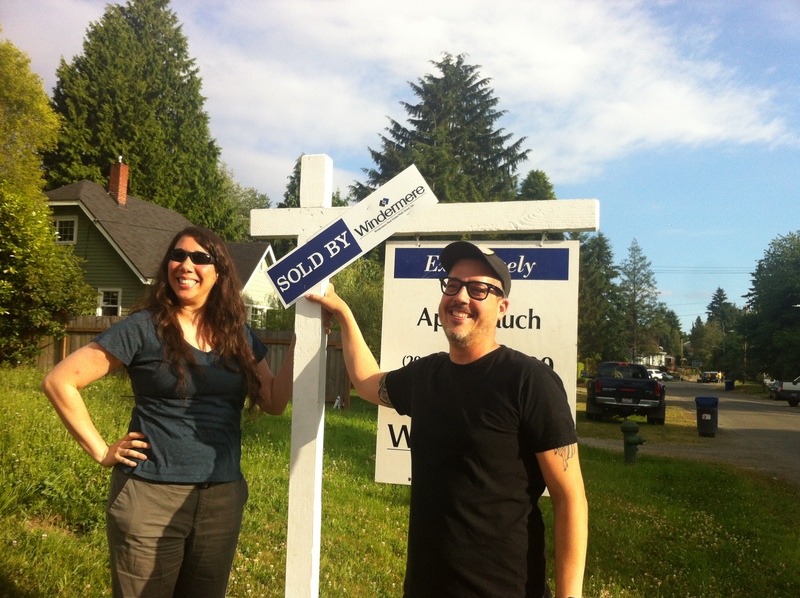 The offer, the financing, the appraisal, the signing (she joined us for our appt! ), the handing over the keys. She even hung with us on that first night to make sure we got meter readings and what not. Leah was referred to us by a friend, and I can see why. She was fantastic, the perfect person at the perfect time. I cannot say enough about how wonderful Leah is. She knows the market, gives great advice, is prompt and responsive and keeps the process moving along. She helped us with a last-minute purchase of a house due to family emergency and she made the experience quite easy and painless. I would HIGHLY recommend her and will use her again. Leah was fantastic. The housing market is hyper competitive and requires a great agent to be successful. Leah is responsive and engaged. With properties that last one to two weeks, it is imperative that you have an agent like Leah. She would make the time to not only visit properties, but also uploads youtube videos with commentary that goes beyond the sometimes glorified listing pictures. She is extremely knowledgeable about the market, neighborhoods, and schools. She took into consideration all of our concerns and constraints and worked diligently to help us find our dream house. The two best things I can say about Leah: 1. I will use her again. 2. I will refer her to friends and family. Leah is a treasure, and I recommend her to everyone. Leah never pressured me, but doggedly went to the mat in my interests. She follows up on everything promptly, and in many cases anticipated my requests before I made them. She made the situation as unstressful as such a thing could possibly be. From our first conversation to just a few days ago, Leah has been a phenomenal agent, gracious host, and Seattle Ambassador, rather than just a realtor. Her fully loaded (with snacks) minivan and ability to pick my husband up so that we could meet after work for showings made the whole experience a pleasure for my family. 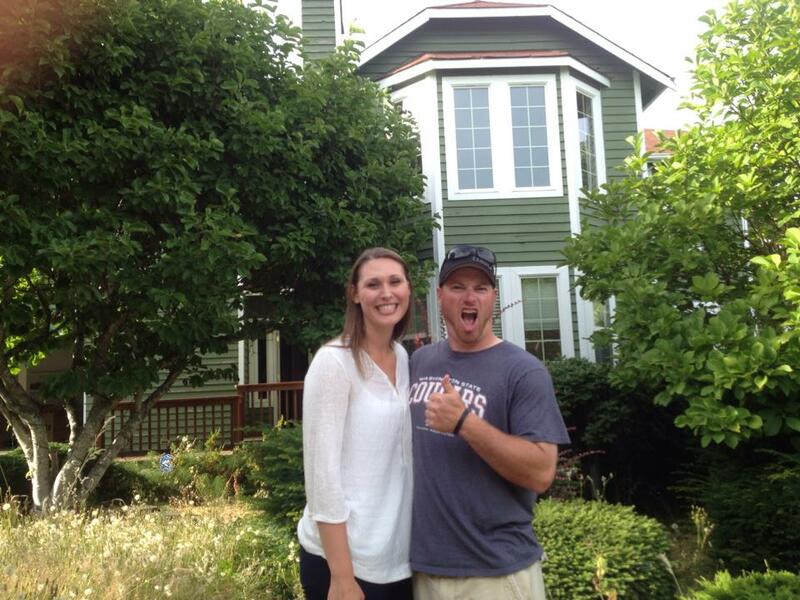 Leah was a great agent - I couldn't ask for a better person to guide me through my first home purchase. She provided exceptional service throughout and was so knowledgeable. Leah was Available at a variety of hours to help us see the most properties possible. Leah was a great advocate for getting things taken care of once we got our home and when the seller did not agree to some things, she made it happen! If we had questions and she wasn't sure of the answer, she was quick to find it and get back to us. Leah helped us with finding a home to improve. I really appreciated how straightforward she is. She was extraordinarily responsive to any questions -- far beyond my expectations. She even helped us with complicated cases like short sales, auctions, etc. She knew lots, and was also comfortable admitting when she didn't know something and then tracking it down for us. She also really made us feel special in the way she celebrated our purchase. I have no question if I am in real estate again in the future I hope to work with Leah. Leah is incredibly prompt, driven, organized, knowledgeable and personable. So impressed with our purchase experience with her, will absolutely seek her assistance again in the future! Leah treated us like family, kept us informed on everything especially on all the open house showing, and did a fantastic job on staging and cleaning. We have dealt with a number of real estate agencies and agents in three different states, and by far Leah is the best and the most pleasant we have ever met. Thank you Leah. Exemplary! Leah always made herself available to our scheudles needs and really connected with our 3 year old daughter. Leah took care of some of the little details for us. I recently purchased a home with Leah Pham, and I just wanted to relay to you how much my wife and I love working with her! Home buying can be a scary process, and she does her best to make it easy and pain free. She is always willing to give advice and she's very honest, so its refreshing knowing we are in good hands with her. We purchased a home in December 2015 with Leah as well, and she was great. It was an easy decision to contact her again when we started looking this summer. After this last purchase, we would never consider using another agent. She's amazing! Leah is truly the best agent we could have asked for in an extremely competitive and unpredictable market. As first time homebuyers, she helped us understand and navigate the entire process: from responding to any questions we had without judgment, leveraging her many years of experience and extensive network of inspectors, lenders, and contractors, and advising us thoughtfully and ethically to make bold competitive offers. Her solid reputation is well-deserved and I would recommend Leah to anyone who wishes to have the most competent, trustworthy, and compassionate agent by your side in one of the most important decisions you'll ever make. She truly is as good as it gets!